Marriott timeshare resales are available through Timeshare Resale Broker. Marriott is known as Marriott Vacation Club International (MVCI). Marriott timeshare resales have an annual new sales volume in excess of 1 billion dollars. Marriott is known for its high standards of service and customer care and is one of the most prominent hotel chains to enter the arena of timeshare. Marriott was one of the largest hotel developers to enter the timeshare industry in 1984. Through the years Marriott has grown to be a major player in the timeshare resale industry. In 1985, Marriott introduced the concepts of floating (a time period that is defined by a season and not fixed) and fixed week (a time period that is fixed for each calendar year), giving Marriott timeshare owners more flexibility in their vacation use. It is no wonder that Marriott timeshare resales are one of the most sought after timeshare brands in the world. 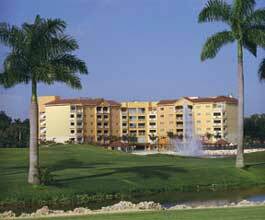 Marriott Timeshare is affiliated with the Interval International Exchange network. II services network of thousands of resorts offered for exchange all over the world. Timeshare Resale Broker has buyers interested in Marriott timeshare resales. If you own at a Marriott timeshare resort you can gain exposure for your resort property through our massive national and international print, direct mail and Internet advertising campaigns. Contact Timeshare Resale Broker today to receive more information on selling Marriott timeshare. We also specialize in Marriott timeshare rentals and Marriott discount rentals.